“We felt that this made a lot of sense with regard to the fact that the All Star Game is coming this year, and the fact that we could make a contribution and update the signs with LED lighting,” Beeken says. “So we thought it made sense, as the naming right sponsor, to be behind this investment." Beeken says the new signs will look a little different, with white lettering on a blue background, instead of the current blue lettering with a white background. The two signs on the outside of the stadium will also include the company name, while the sign above the scoreboard will read “Great American Insurance Group”. 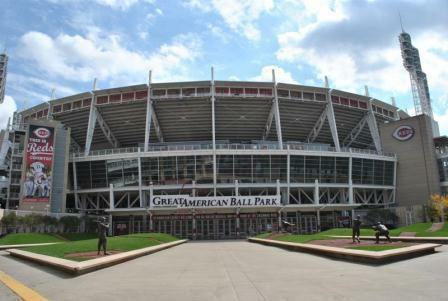 “We believe Great American Ball Park is the best name on the best venue in Major League Baseball,” said Carl H. Lindner III, Co-CEO of Great American’s parent company, American Financial Group. Beeken says the LED lights will use less electricity, and should cost about 80 percent less to operate than the current neon signs. The work was expected to start Tuesday, and should be done by Opening Day, April 6.